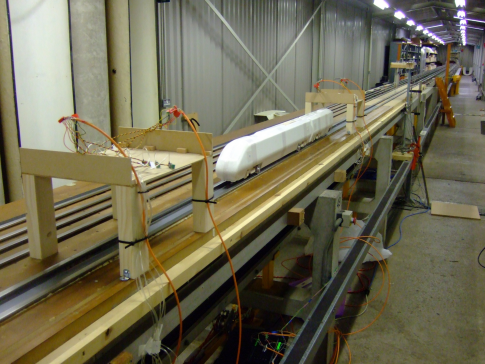 The TRAIN (Transient Railway Aerodynamics INvestigation) Rig is a highly versatile moving model rig that can be used for a wide variety of aerodynamic investigations. In broad terms, it consists of a 150m long track along which model vehicles can be propelled, in both directions , at speeds of up to 75m/s. In the past it has mainly been used for railway aerodynamics research, but it could be used for a wide variety of other aerodynamic investigations. 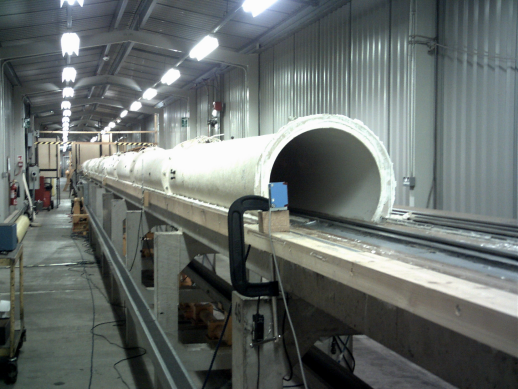 The facility also includes a tunnel structure allowing tests within confined spaces to be carried out and a new cross-wind generator to allow tests to be carried out with side winds. We can source models of both vehicles and other structures, for testing on the rig. 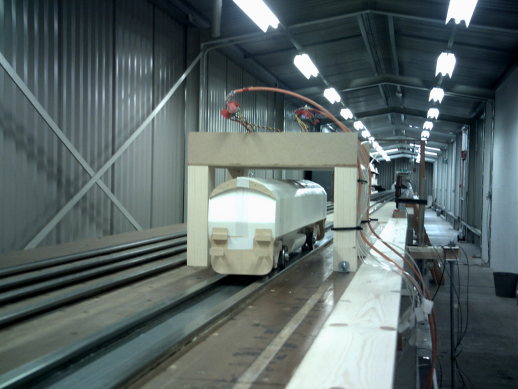 Tests can involve measurements on the moving vehicle as well as on stationary positions and models at the sides. Click here or go to YouTube to see a video of the rig in action! Copyright © 2009-2011 A.D.Quinn. All Rights Reserved.